In fact, I might be the laziest person you’ve ever met. Whenever there is a task to be done I look for the easiest way to do it. If that fails, then usually I fail. I love trying different fad diets because they do a great job of making me believe that finally, this is the way I’m going to get the body that I want. You might be the same way. If you let yourself go a little bit then it’s pretty damn hard to get back on track. It’s like in high school when you didn’t study for a test and on the morning of the test you ask your math genius friend to slip you the answers. What!? You didn’t do that? Oh, well completely ignore that story then because I didn’t do it either. Diets can produce some amazing results in a short period of time and the reason why is because they put our body into shock. It’s similar to doing a new workout routine. When you do it your body is completely surprised that you are doing something it isn’t used to so it makes the proper adjustments. If your diet consists of soda and tacos and you switch to salad and water for 3 days you will see some immediate short term changes. 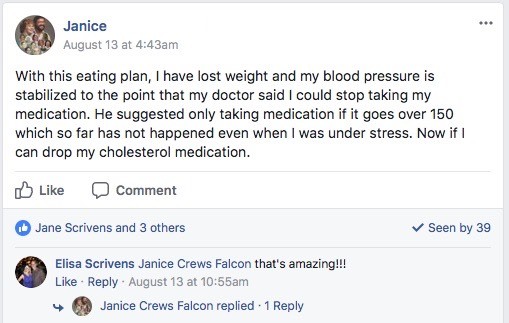 Whenever you read about a miracle diet it is important to find out the results of people that have been on the diet for months. 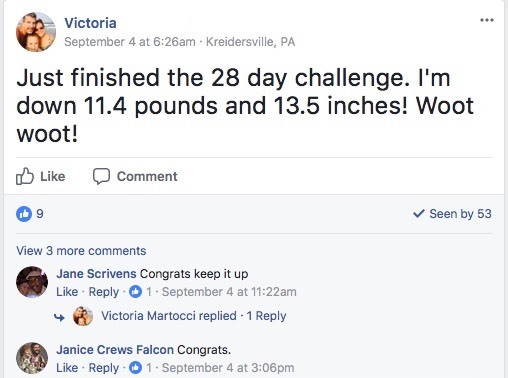 Did it help them continue to reach their goals or did they plateau? The first 3 weeks I saw amazing results when doing the cayenne-watermelon-coffee diet. I lost 7lbs and was feeling great. Then the next 4 weeks I only lost 1lb. I don’t know what happened, but I’ll probably go looking for alternative diets. Why does this happen? To understand why this happens you first need to understand how your body works. Are You Getting Your Vitamins and Minerals? Drink your milk to get healthy bones. Eat your carrots so you can see better in the dark. Drink your kale, spinach, mushroom smoothie to…hell, I don’t know why anyone would drink something like that. When growing up you were bombarded with information on why you need to eat the right things and get all of the vitamins and minerals that your body needed. You probably didn’t pay much attention to it because you just ate whatever your parents fed you, but that information is based on some good facts. Let’s pretend you had to make your body from scratch. What would you need? Now imagine that the human body was a recipe in a cookbook. Do you think the ingredients that make up the body that you want are the same as everyone else’s? Your ideal body type might need more proteins and less fats. Your activities might require more carbs. The environment that you live in might require more Vitamin D than C.
This is why people plateau when they go on diets. After some time their body adjusts and eventually reaches the optimal point for that particular diet. When you consistently eat the same food in the same portions then you should expect the same results. This isn’t a bad thing, it just means that sometimes you need to make small adjustments. If that is your only goal then that is a pretty easy thing (in theory) to accomplish. Look at your current eating habits and remove the bad things. I have a layer of fat around my belly that didn’t exist 5 years ago and it isn’t because I stopped playing soccer. It’s because I consumed more processed sugars and other bad things that I didn’t pay attention to. When I start to remove those bad carbs, then my body makes adjustments to find energy from elsewhere. Losing weight is a very general goal. So much so that almost any diet in the world could be applied to it for the simple fact that all diets eliminate bad stuff from your daily eating habits. When you remove soda, cookies, cakes, chips, babies, candy, and donuts from your diet, you are bound to lose some weight. This is why you should try to get a little more specific with your goal. For example, I think my ideal body would be nice and lean with muscle definition at the weight of 180lbs. Currently, I’m sitting at 200lbs so I have a long way to go. Looking at my goal body type I can see that I need to build muscle and burn fat. Thankfully, building muscle helps to burn fat, but the key is that I need to build muscle and just lifting weights isn’t going to cut it. I can lift weights for the next 6 months and not gain much more muscle all because I didn’t consume enough protein. When you try to build muscle, first you need to break it down before it can build itself up. When your muscles are ready to grow they look for proteins to make it happen. If none are available they go back to sleep and wait another day. Notice what happens in this sequence. I’m not getting my ideal body because of my workout plan, but because of my diet. What’s the Recipe for Your Ideal Body? Take a look at this big dude. That’s The Rock. He’s a very large human being. Let’s pretend you want a body like The Rock’s. Just pretend. You would have to do some crazy workouts, but your muscles aren’t going to grow based on those alone. It is going to need a ton of different ingredients to put all the building blocks together. It all makes sense, though. He is getting the right ingredients to make the body that he wants. He took the time to calculate the recipe and is now making it happen. It just so happens to mean he needs to eat half the ocean every single day. If you eat enough protein and put your muscles through enough stress, then you can end up with a body like that. Good luck! Okay, you’ve read all of this, but what is the right diet for you? Is it Atkins, Paleo, the Cabbage Soup Diet, or something else? I don’t want to argue the validity or craziness of each diet because diets act more like guides on what you should eat. Paleo, for example, cuts out processed foods and sugars. Naturally, this is great for your body and because there are a million awesome paleo recipes, the Paleo diet is a very successful diet. In the end, it all comes down to what your body requires. That doesn’t follow a very specific fad diet. It simply follows basic science. If you want to see what you need to consume to help you achieve your results, then you need to understand Macros. Macros are your proteins, carbs, and fats. The Rock has a very specific diet because he calculated the macros he needed. Once you figure out your macro requirements you can start to experiment with the different recipes you try. You don’t have to confine yourself to a specific diet. The world is your oyster! 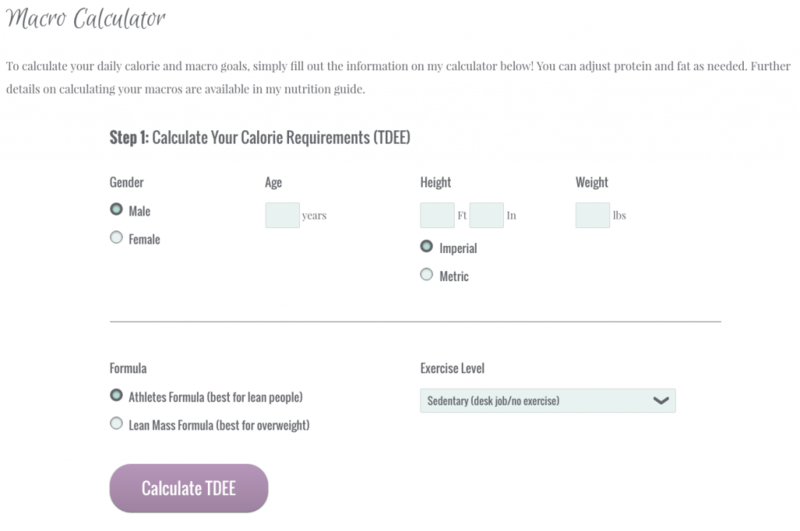 Katy Hearn has a pretty nifty macro calculator that will help you determine the different macro amounts you need to consume. You can see it’s recommended that I consume 92g of carbs, 160g of proteins, and 70g of fat. With this knowledge, it becomes a lot easier to figure out my daily meals. I simply use an app like My Macros+ to measure the macros in everything that I eat. Now I won’t feel guilty eating those tacos if I can see they are fulfilling my daily macros. What I want to watch out for is how far I go over on my carbs and how many more grams of protein I need to consume. This is how you can choose the right diet for you. Maybe it’s the one where you still eat the foods that you like, but you complement them with other foods to help you reach the right macro levels. It doesn’t come down to anything fancy. It’s simply a matter of figuring out your ideal body’s recipe and getting the right ingredients to make it happen. Up until this point, everything has sounded pretty scientific. You understand that your diet can affect the type of body you end up getting, but does picking a diet solely come down to what type of proteins and carbs it offers? Of course not! If you are going to choose a diet you want to pick one that is mostly enjoyable and you can stick with. You aren’t going to be happy consuming cayenne pepper and lemon juice for 6 months and neither is your body so don’t do it! If fatty foods make you gag, don’t choose a diet that relies heavily on those things. If you aren’t ready to go all out on a diet then take a look at your daily eating habits and pick one bad thing to remove. For me it was soda. After a couple of weeks, you can cut out something else. Eventually, you’ll find that you are eating awesome foods that you enjoy that don’t destroy your body. After that, you just need to make sure you are getting all of the macros that you need in the right proportions. Don’t get caught up in fad or miracle diets. They can work wonders in the short term, but for longer term goals you’ll want to figure out what your body needs and then make it all happen. Life is much more fun when you have the body you want, but getting that body doesn’t have to be all torture. 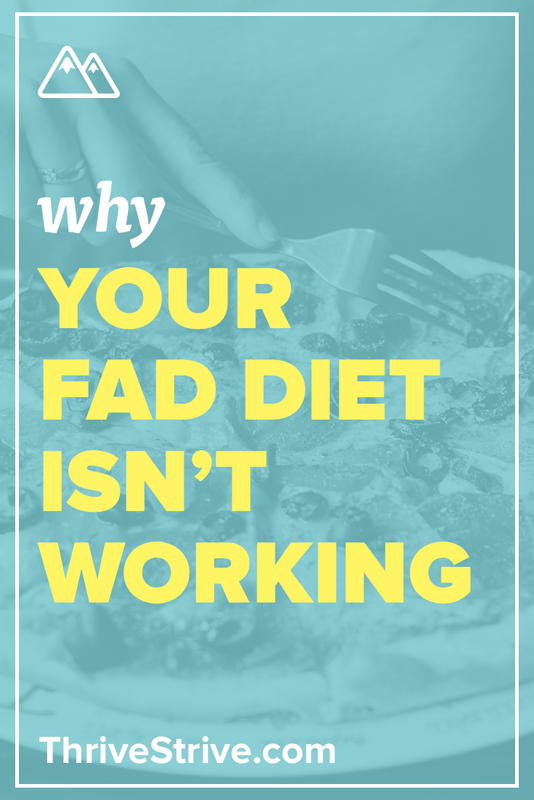 Enjoyed Why Your Fad Diet Isn’t Working? Share it with your friends so they to can follow the Thrive/Strive journey.